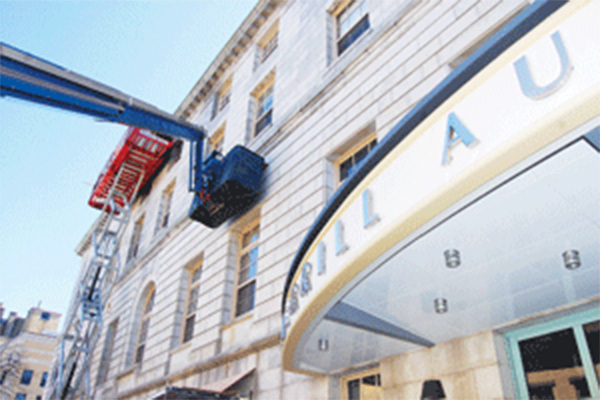 A crew with Cenaxo of South Windsor, Conn., is repointing the mortar at Portland City Hall. A Portland Recreation and Facilities summary about the job, contained in the 2013-2018 CIP document, states that mortar is missing in many areas, contributing to infiltration of water into City Hall. Evidence of seepage includes mold where water came through walls, damaging paint and plaster, the summary states.